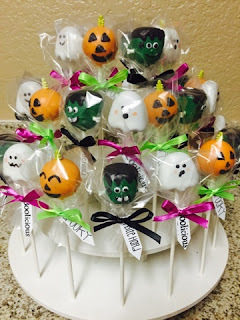 Jaded Blossom: October Guest Designer- Halloween Cake Pops! 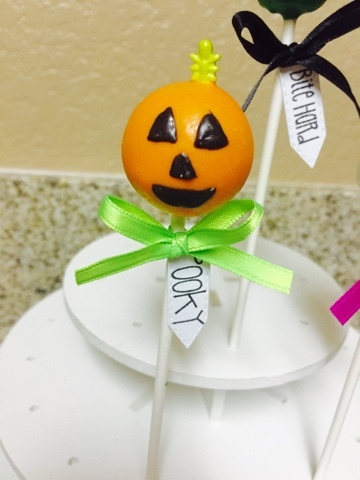 October Guest Designer- Halloween Cake Pops! Hi everyone! Today is such a bitter sweet day. It's my last post as guest designer for Jaded Blossom and although I am so sad to see it come to an end, I am so thrilled to have even been given the honor to represent these extremely talented ladies over at Jaded Blossom. I will forever be grateful to Candace and Michelle for this opportunity. Thank you ladies!!! With that being said, time to get to my project. I love love love cakepops. Their is just something so sweet about them and I can't help but make them every chance I get. After HOURS of working on these little guys, I added the finishing touches using of course Jaded Blossom products. 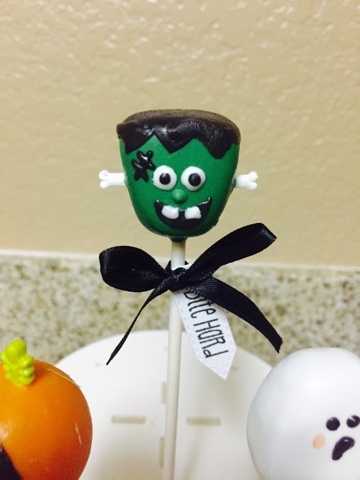 My little FRANKENSTEIN tag was made using the Mini Tag Dies and Vampires & Zombies, Oh My! My little Jack-o-lantern tags were made using the mini tag dies, and Too cute too spook. 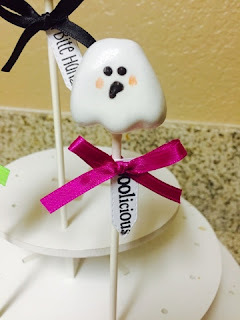 Finally, my little ghost buddy tag was made using Mini Tag Dies, and Pick Your Poison. I made a total of 3 dozens and they were a huge hit at work. Everyone loved them which only makes me feel even more blessed. I love how perfect the tag dies fit the popsicle sticks and how great the sentiments are. I swear, I find the perfect saying every single time using nothing but the best, Jaded Blossom stamps. Again, thank you ladies for everything! Adorable!!! You rocked your Guest spot!!! So cute!! Love how the tag fits them perfectly. You did an Amazing job!!! To darn cute! 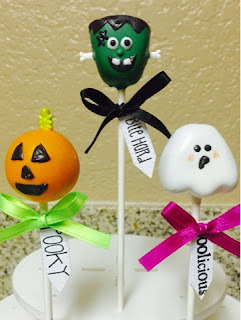 OMG these are so super cute and a lot of work! Loved everything you made you did an awesome job! Jaded Blossom October Sneak Day 4! Jaded Blossom October Sneak Day 3! Jaded Blossom October Sneak Day 2! Jaded Blossom October Sneak Day 1!